Yorkshire born, Master baker, Kevan Roberts has a wealth of baking experience and knowledge, spanning across 3 decades. During the early part of his baking journey he spent a year in France before going on to open Time Bakery and The Yorkshire School of Baking. He also spent some of his career working on new product development for the likes of Marks & Spencer’s and Waitrose. Yorkshire born, Master baker, Kevan Roberts has a wealth of baking experience and knowledge, spanning across 3 decades. 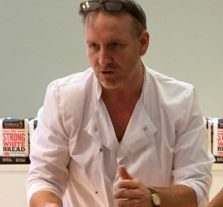 During the early part of his baking journey he spent a year in France before going on to open Time Bakery and The Yorkshire School of Baking. He also spent some of his career working on new product development for the likes of Marks & Spencer's and Waitrose.